Authorities have found a body they believe may be that Frances Nash, who was last heard from on May 17. Officials also announced they are seeking the public's assistance in finding Nash's son in connection with her stolen vehicle. 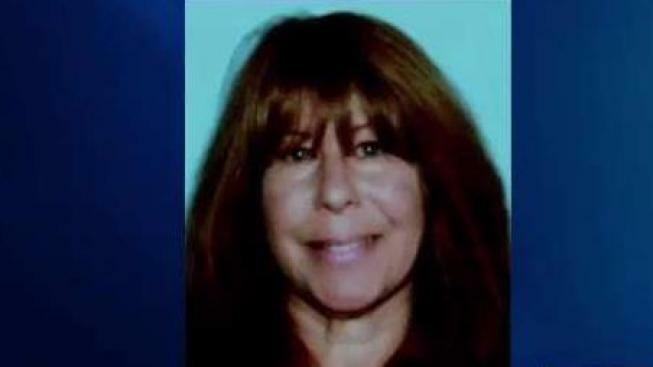 Authorities have found a body they believe may be that of a missing New Hampshire woman, and they have announced they are seeking the public's assistance in finding the woman's son. Officials announced Monday night that an adult female body was found in Canterbury early Monday afternoon, and they believe it may be Frances Nash. The 51-year-old from Chichester was last heard from on May 17. Frances Nash's car, a maroon 2011 Mercury Mariner SUV with NH license plates 4127573 that was also reported missing, was found earlier Monday morning in Canterbury. An arrest warrant has been issued for Frances Nash's son, Phillip Nash, 21, of Canterbury, in connection with the theft of his mom's vehicle. He is described as 5'9" tall and weighs 150 pounds. He has brown hair and blue eyes. Phillip Nash is believed to be driving a stolen maroon 2000 Ford F-350 truck with NH vanity plate GRANITE. A search will be done of the area where the woman's body was found, and an autopsy will be performed to determine the identity, as well as the cause and manner of death. Anyone who has information about Frances Nash, Phillip Nash or the two vehicles involved is asked to call the New Hampshire State Police at 603-271-3636.